Galway Crystal glasses feature an etched Claddagh: they are ideal for whiskey highballs. 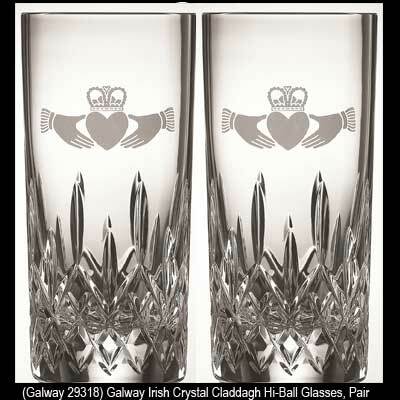 The Galway Crystal Claddagh glasses are sold by the pair. These Irish whiskey glasses feature the on a cut crystal vessel; they and are suitable for highballs or any beverage. The measure 6" tall and are made of 24% leaded .